№22718067 4 Ring binders on a safe deposit box. Confidential information concept. №28153327 A modern combination of food shooting and contemporary art quail eggs and shnuk on an art background. 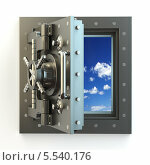 №6695997 5 Safe deposit boxes in a bank vault. Banking concept. №27179462 Black coffee, milk, croissants, jam, fruits and toast on a light yellow-brown combination background. №28153326 A combination of food shooting and drawing in the style of Contemporary art quail eggs and shnuk onions on an art background. №27179460 Black coffee, milk, croissants, jam and fresh fruit on a light yellow-brown combination background. №24829181 2 .Computer security or safety concept. Laptop keyboard with lock password 2017 and chain.